Oct. 10, 2018 – We know bigger is not always better, and profit can be at the expense of expansion. 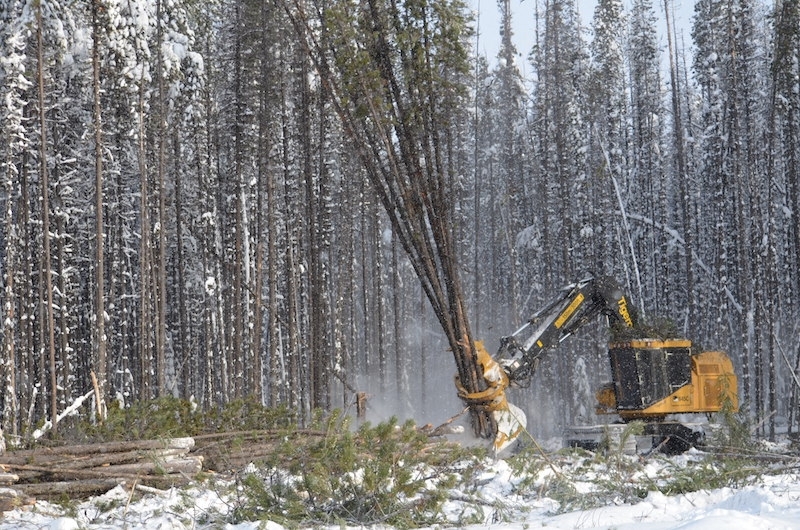 This may help explain a jump in the number of contractors across Canada who own just one to three machines. 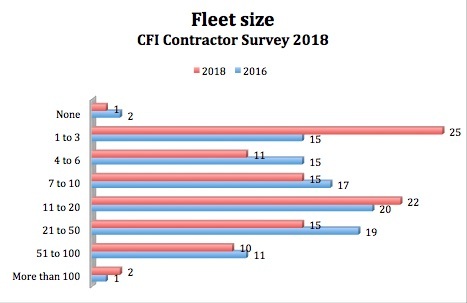 In our 2018 CFI Contractor Survey, a quarter of loggers say they own between one and three pieces of equipment, excluding pick-ups. This is up significantly from the results of our 2016 survey, which saw 15 per cent who own one to three. The corresponding drop is in all other categories, aside from those who own 11 to 20 machines (up 2% to 22%) and those who own more than 100 (doubled to 2%). See how the numbers compare in the chart below. Percentage of contractors who report machine numbers, excluding pick-ups. 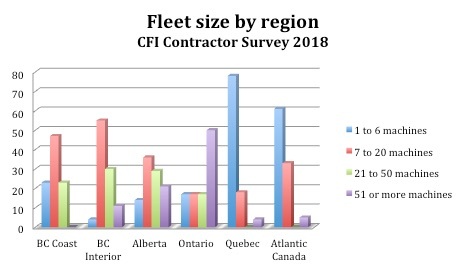 Regionally it’s contractors in Ontario and Alberta that have the largest fleets, 57 per cent and 50 per cent respectively own more than 21 pieces, followed by the B.C. Interior at 41 per cent and the B.C. Coast at 23 per cent. Coastal contractors appear to be limited to fewer than 50 machines. Companies owning more than 100 pieces are only found in Alberta and the B.C. Interior. A majority of Quebec contractors (52%) own just one to three machines, followed closely by Atlantic Canada at 47 per cent. See the regional breakdown in the chart below.